PLAINVILLE - The town has been experiencing stable growth as town officials work actively to fill vacant buildings, according to Town Planner Garrett Daigle. In July of last year, when ABB took over the former GE Industrial Solutions, Daigle said that a lot of fears about the local economy were laid to rest. Since then, Daigle said that several smaller businesses have been expanding and relocating. Recent expansions include The Li’l Plant Shop, which moved from its former location in town to 8 East Main St. and expanded. Town officials and Chamber members celebrated that with a ribbon cutting March 5. 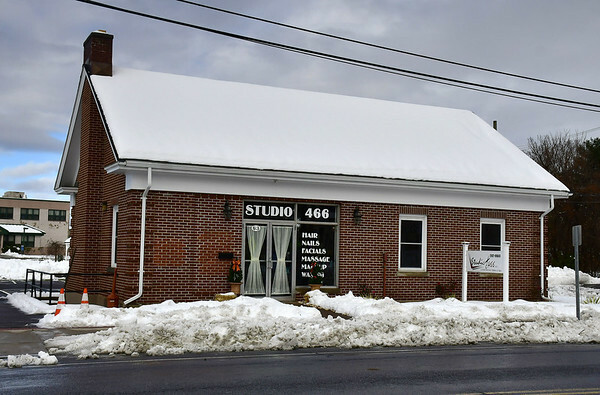 In November of last year, Studio 466, moved to the former location of The Law Firm of Segal and Laska at 63 East Main St., which had been vacant since 2016. This too was an expansion from Studio 466’s previous location at 466 East St.
Also, last November saw the opening of Goodwill at 243 New Britain Ave., which turned the formerly vacant, blighted and then remediated “Chung property” into a 17,000 square foot commercial space. The White Oak property, which was formerly owned by a construction company and is now vacant, is currently undergoing phase II of a site assessment study by Loureiro Engineering. Once the third phase and remediation are completed, Loureiro Engineering will conduct a market analysis study to determine the best potential use for the property. Rebel Dog Coffee Co. and JV’s Taproom at 393 Farmington Ave., Daigle said, are currently undergoing interior renovations and plan to add more freezer space. “I’ve heard that they are extremely popular and doing very well,” he said. Plainville Pizza, which re-opened in July 2017 after closing in 2011, closed again several months ago. 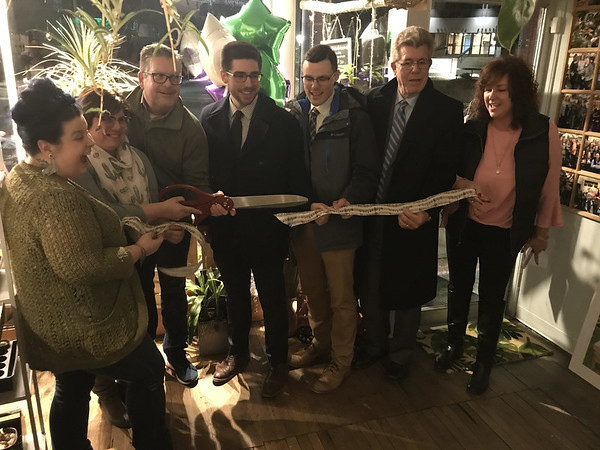 However, Central Café has moved into the space at 50 W. Main St.
D’Marie’s Pizza also opened in town within recent months at 17 Whiting St. and in March was the winner of the annual Plainville Pizza Feud. Daigle said that The Donut Shop, from Torrington, is coming to town to open a second location in the site of a former Dunkin’ Donuts on Farmington Ave.
Daigle said that Plainville is also looking into a “long-term development project” on North Mountain Road, which he said may ultimately become a site for corporate offices. “It is currently in a bio-science zone, so the developer is pursuing a zoning change,” he said. The town is also working on its new Plan of Conservation and Development. As part of this plan, the town will be able to create a Planned Development District. Daigle said that one of the reasons Plainville is experiencing stable growth is because of stable and minimal tax increases. He credited the Town Council and Town Manager Robert E. Lee for their work on this. He also said that the town is “fairly dense” for its size and that development plans will result in more foot traffic downtown. Posted in The Bristol Press, Plainville on Monday, 15 April 2019 21:22. Updated: Monday, 15 April 2019 21:24.